Puli Temperament (Energetic, Agile, & Loyal): BUT... Newbies Beware!! Puli Temperament (Energetic, Agile, & Loyal): BUT… Newbies Beware!! The Puli temperament makes him a challenge that you will need to overcome if you want to own this breed. He can be mischievous, disobedient, and even aggressive, which is why it is crucial that you establish dominance from the get-go. In fact, if you are an inexperienced dog parent best to look for a less demanding dog breed. Disregard this advice and will be up for a serious challenge that we hope to make you more aware of below. Read on! Note: Before we go any further you should know that the plural for Puli is Pulik. The Puli can be a loyal dog once you’ve conquered his challenges. His attitude may throw you off at times, but deep down, he really does appreciate and thrive on human affection. You might think all that hair would weigh him down, but the Puli is surprisingly agile. His reflexes are insane. He can jump a six-foot fence without any prep, and he can easily turn on a dime. The energy of the Puli will surprise you. In fact, most Pulis remain active well into their teen years! He is not one to be satisfied with your opening the door to let him out, and then opening the door to let him back in. He is also not a huge fan of playing fetch or taking a walk, as he gets bored easily. He needs both vigorous physical exercise, and mental stimulation to feel satisfied. Remember, he’s a herding dog, so there is nothing more heavenly to him than having a huge space to run around and do tricks in. And if he doesn’t have sheep to herd, he will try to herd people. For this reason, he should be supervised around children – especially neighborhood children that aren’t “his” children. The Puli can be an obedient dog, but he doesn’t typically come that way right out of the box, so to speak. You need to do a lot of molding to help him get there. He can be a challenging dog to deal with, and he will push you around if you let him. But the reward is oh-so-sweet when you realize you’ve trained this seemingly untrainable beast! The Puli is one of the smartest of all dog breeds. Unfortunately, this means he can be incredibly manipulative. In fact, he has a reputation for being truly impressive with his personal brand of mischief. The Puli is a very faithful dog who puts all of himself into everything he does. He guards his family as faithfully as he herds his livestock. He has a high prey drive, so be sure to keep him on a leash or fenced-in always when outside. He is also a fantastic watchdog who takes his job very seriously. This includes rushing up to complete strangers with abandon, and even issuing a loud bark at them as a warning to back off! 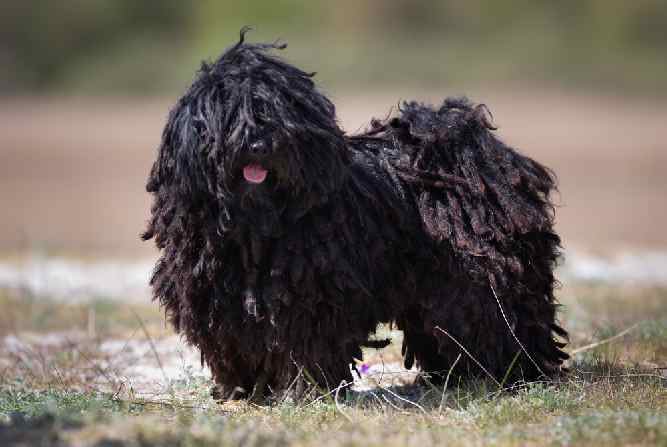 Over 1,000 years ago, the Puli originated in Hungary. Some today refer to the breed as the Hungarian Puli. The Magyars brought the sheepdogs with them when they migrated to Hungary from Central Asia. The Magyars used the Puli for herding and guarding livestock. Fun Fact: American novelist T.C. 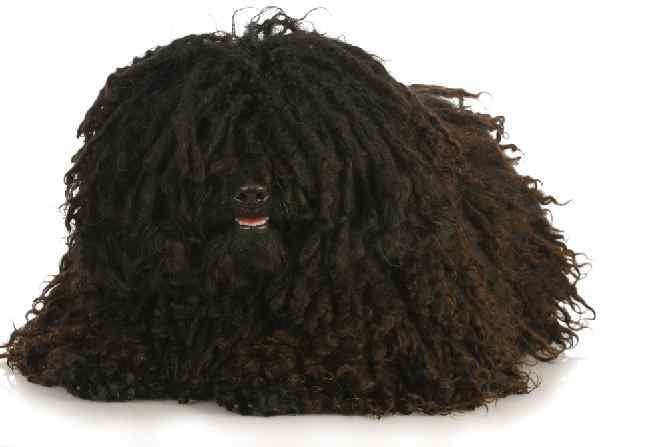 Boyle has owned several of these dogs and still has a Puli: Kutya. Boyle mentions Kutya in his novel, The Harder They Come. You can find another famous Puli on the cover of the Bush album Sixteen Stone. The Puli is one of those breeds that loves to learn and loves to please his master, so training can be fun. 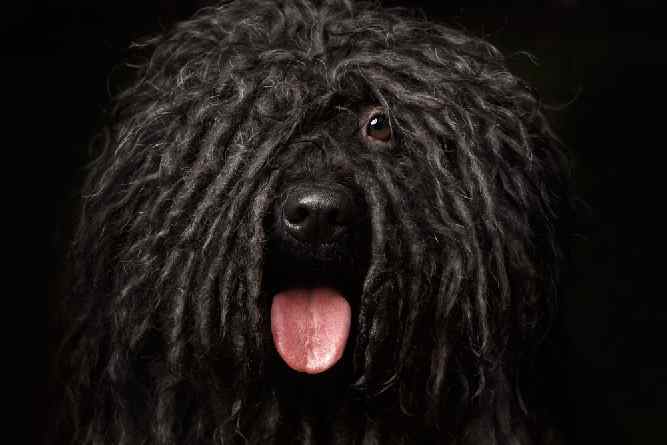 However, there is actually an inside joke among Puli owners that you have to be pretty smart to own one of these dogs. This is because he will look for ways to both humiliate and ignore you while in public. Because Pulis are herding dogs, they are not comfortable with the idea of relinquishing control. He needs a firm hand to snap him back in line when he gets out of control. He despises repetition, preferring to do things his own way. You must show him that you are the boss, or he will walk all over you. And, as with most breeds, the more you socialize him, and the earlier you start, the better. For the Puli, this is especially true, as he may be overly protective to the point of biting someone if you don’t rein him in. You can keep the Puli's natural cords, or you can brush or clip his coat. A cord is matted hair that is more organized. If you want to leave his coat corded, then you need to regularly separate the cords, which is easy enough to do during your downtime (like watching TV at night). You actually don't have to groom Pulik at all until they are between 8 and 10 months old. The only things you have to do at this age are to bathe them regularly, clean their ears, and clip their nails. Once a Puli coat has fully come in and the dog has his distinct cords, you will need to bathe him regularly to keep the cords clean. 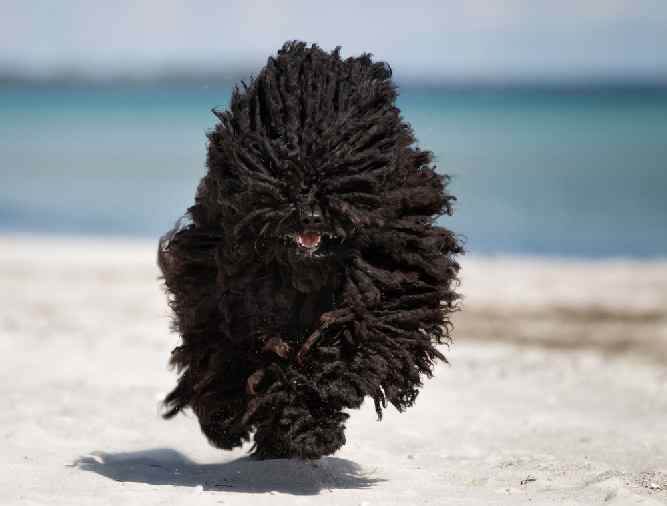 When it comes to exercise, the Puli needs both mental and physical exercise in abundance. Any reputable breeder will tell you not to over-exercise your Puli while he is still a puppy. Too much vigorous activity can put unneeded stress on his developing growth plates, which can cause problems for him later on. It's good to have a basic sense of the typical size and weight of your dog. This gives you a good baseline from which to monitor your dog's health. The average size of a female Puli is between 14 and 17 inches, while males are typically between 15 and 18 inches tall. A healthy weight for a Puli is between 22 and 29 lbs for a female, and between 29 and 33 lbs. for a male. Note: And if you agree that your health and your dog's health should be a top priority then get a copy of The Ultimate Guide to Dog Health. Your Puli friend will love you for it. This guide will help save you money, time and most of all help you keep your dog healthy. So, you've decided that you'd like to make a Puli puppy the newest member of your family. Congratulations! You can find Pulik for sale from a breeder or at a rescue or adoption agency. The average Puli dog price is around $1,200. 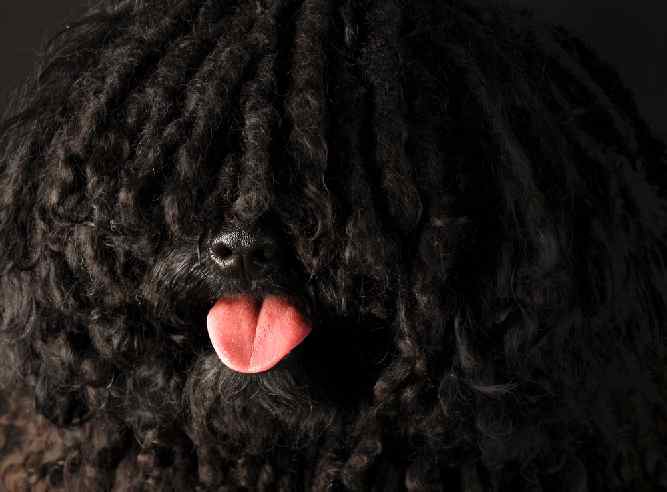 A Puli for sale can even cost upwards of $1,600. The price of a Puli dog for sale varies depending on its lineage and the breeder who's selling them. If you're not sure where to start insofar as contacting a Puli breeder, you may want to check out The Puli Club of America. There is a Breeder Information page on their site, which lists several Puli breeders throughout the US. They also post information on shelters you can contact if you are interested in adopting a Puli. Added perk: they have Puli grooming tips on their website as well. If you want to adopt a Puli puppy, you can find one through a local rescue organization or adoption center. A Puli for adoption will always cost less than one purchased from a breeder. An adoption is ideal if you are interested in bypassing the puppy stage and getting an older dog. Many people don’t want to put up with the chewing and other destructive behavior that comes from owning a puppy. Conclusion: Why the Puli Dog? The Puli temperament makes him a great dog for people who love a challenge. His high level of intelligence makes him one heck of a mischievous dog. It also makes him stubborn to the point of humiliating you when you’re trying to train him. Stay steadfast and don’t let him believe for a second that he has the upper hand. Else, he will walk all over you, and it will be twice as hard for you to train him. He is agile, with an energy level that lasts him well into his golden years. He’s also a great watchdog. Just be careful that you don’t let him get too crazy with it, or he could resort to more aggressive behavior. Next post: Irish Red and White Setter Temperament (Energetic, Playful): Can You Keep Up?